Jazz at Duquesne emphasizes traditional jazz idioms and includes courses in improvisation, arranging, ear training, and performance in small and large ensembles. These include Jazz Ensemble I and II, the Jazz Guitar Ensemble, and several Jazz Chamber Groups. Duquesne's close association with the Manchester Craftsmen's Guild and nearly a dozen area jazz clubs provides a variety of opportunities for students to perform with and learn from nationally-known visiting artists. 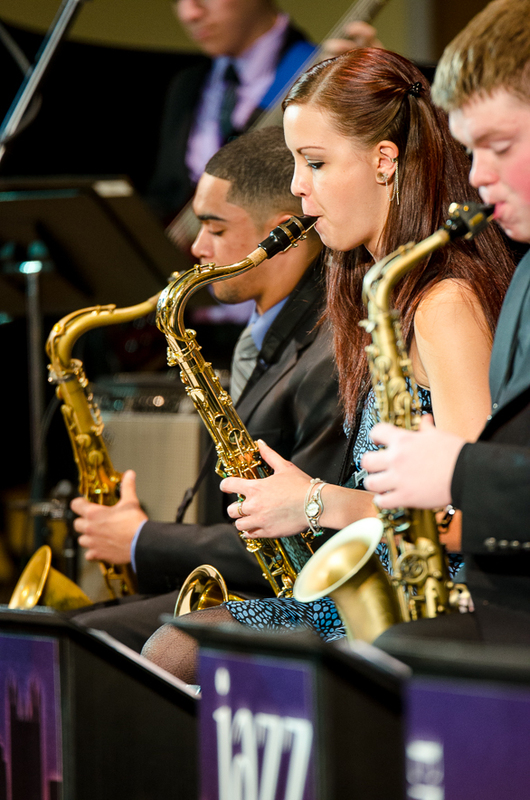 Courses in jazz are open to all music majors, regardless of degree program. In the fall of 2016, a new jazz series called the Uptown Jazz Series was created, providing professional-level concerts for our students and the public to experience. Guest artists and groups come to Duquesne to perform and further our students' educational experience. The Uptown Jazz Series has been made possible, in part, through the generousity of the John R. Mattern estate. To learn more about the series, and for more information on upcoming concerts, please visit the Uptown Jazz Series page.